The Manufacturers RV Show is the largest indoor RV show on the West Coast, bringing together many dealers from all over the west to display their very latest models, accessories and services. 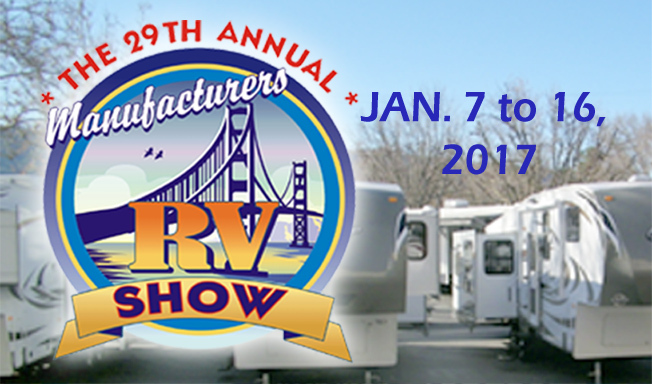 See 100s of RV manufacturers' lines, new and used RVs and speak with many different dealers and representatives all at the Alameda County Fairgrounds in Pleasanton. Multiple dealers mean more products, more selection and competitive pricing. You'll see great deals on new and used motor homes, travel-trailers, 5th wheels and truck campers.